Whether it’s Vancouver’s mountain-ringed harbor, Calgary’s cowboy culture, Montreal’s music and foodscape, Quebec City’s historically French setting or the metropolis of Toronto and all that the country’s largest city entails, Canada is a treasure trove of destinations. So varied, so vast, so extraordinary is this region to our north that in reality the biggest problem for planners may not be where to go and what to see, but rather where not to go and what not to see, for it’s chock full of meeting appeal. “Canada is important to our brand because it began in Toronto and we always try to stay connected to our roots,” says Jennifer Rondinelli, director of meeting planning with MAC Cosmetics, Global Education. An acronym for Makeup, Art and Cosmetics, MAC was founded in 1984 by marketer Frank Angelo and Frank Toskan, a photographer and makeup artist. The company’s goal was to meet the cosmetic needs of the contemporary woman. Three-plus decades later MAC is a top global makeup brand. Having often partnered with The Ritz-Carlton Toronto, Four Seasons Hotel and Residences Toronto and Park Hyatt Toronto, luxury is the name of MAC’s meetings game. Home to the largest convention center in Canada, Toronto’s facility also ranks among the top 10 largest continuous-space convention centers in North America. Its award-winning Metro Toronto Convention Centre — featuring 442,000 sf of exhibit space, 77 meeting rooms, multipurpose ballrooms and a theater — has added 11,000 sf of dedicated meeting space. Toronto also has two airports serving 200 global destinations in 55 countries. However, another of the cosmetic company’s Canadian destinations is Vancouver, site of the January 2017 MAC Global Sales and Training Meeting for 250 attendees from North America, Asia and Latin America. With The Fairmont Waterfront as the home base, general sessions were conveniently only steps from the Vancouver Convention Centre. Gearing up for its busiest convention year to date, Vancouver will welcome 33 citywide conventions and events in 2018 — in no small part due to its convention center’s appeal. Its iconic West building has been awarded the LEED Platinum certification, recognizing its living roof and seawater heating and cooling system. 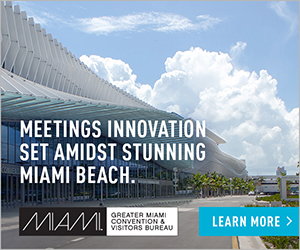 Coupled with its 2010 Platinum certification for new construction, the center is the world’s first double LEED Platinum convention center. Together the West and East buildings have 466,500 sf of function space. 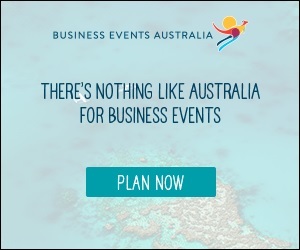 “We typically have an evening event, but we don’t plan anything else so that our attendees can explore the cities on their own,” says the planner of this city that offers such uncommon choices as floatplane tours to whale watch or to attend a Canucks NHL ice hockey game, complete with exclusive access, high-end dining and meet and greets with the players. 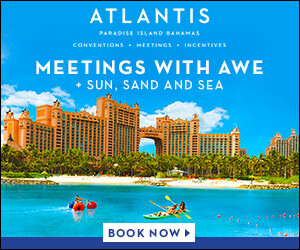 To promote MAC’s meetings the company uses a meeting website, most recently Attendease (which is based out of Vancouver). The planner explains that they use surveys, Q&A and polling features in the app to measure results. “Vancouver was always a destination on our radar and I think that most attendees have never been to the city, so it was a new experience, destination and culture,” Rondinelli says of Canada’s westernmost big city. Another Vancouver fan is Jeff Richards, CMP, vice president of Gavel International (a North American meeting and incentive company), who planned the February 11–15, 2018, Regional Leadership Conference for 275 attendees of a global manufacturing firm. Its purpose: to align the global teams on strategy, vision and execution moving into 2018. Located in the heart of the city’s energetic entertainment district, dine-arounds took place one evening featuring 10 restaurants — including such notables as Blue Water Café, Chambar and Hawksworth. Conceived by two-time James Beard Award nominee Elizabeth Blau, Parq Vancouver restaurants and lounges number eight. “The banquet staff did an excellent job, especially for a new opening,” adds Richards of the banquet space which is led by JW Marriott Parq Vancouver. Aside from its being new and centrally located, the hotel and its sister property, the Douglas, an Autograph Collection Hotel, offers a 30,000-sf rooftop park, gaming space, 62,000 sf of meeting and event space (including the city’s largest hotel ballroom), 329 rooms (including 188 at the Douglas). And, if that weren’t enough, the hotel is also being built to apply for LEED Gold certification — sure to appeal to those planning green meetings. “Come to Calgary with an open mind,” says Kendra VanVelzor, event content specialist/events team of Kumon North America Inc., a network of children’s learning centers, which for the first time is hosting its annual KNA Instructors Conference for 1,200 Kumon franchisees July 19 – 21, 2018 in Alberta’s best-known town. A bit of background. Kumon North America has franchisees of children’s learning centers from the U.S., Canada and Mexico, with its conference rotating among the three countries. “We had already been to Toronto and Vancouver. Calgary offers a walkable downtown area, nearby natural beauty and good value.” Though the group typically holds its conference in a single hotel, the Calgary conference is large enough to use a variety of downtown hotels — Hyatt Regency Calgary, Calgary Marriott Downtown Hotel, Fairmont Palliser, Delta Hotels by Marriott Calgary Downtown and Hotel Arts — all within walking distance of the Telus Convention Centre and all offering a variety of price points. Piggybacking on the Calgary Stampede (ending mere days before Kumon’s arrival), several elements will be incorporated into the conference — a mechanical bull for photo ops, a private rodeo and dancing at the Agrium Centre in Stampede Park, visits from a Stampede queen and princess to interact with guests and white hats for everyone. Initial promotion of Calgary began when the Kumon team integrated the city’s prestigious white hat ceremony into the closing of its 2017 general session. Here are some highlights of Canada’s most popular cities. Frequently compared to New York City (it’s Canada’s largest city and North America’s fourth largest city behind Mexico City, New York and Los Angeles), Toronto has it all — from luxury lodging to live theater to one-of-a-kind attractions — and is within a 90-minute flight for more than half the U.S. population. Known for its dramatic diversity, Toronto has been called the world’s most global city, with 50 percent of its population born outside the country and approximately 130 languages spoken — all of which is reflected in its neighborhoods and F&B offerings. New on the Toronto scene is the reopening of the Museum of Contemporary Art Toronto Canada. A 55,000-sf area located in a heritage-designated building formerly known as the Tower Automotive Building, it covers five floors and is five times larger than its former Queen West location. Additional news for this city of 36,000 hotel rooms in more than 170 hotels include Kimpton’s soon-to-open 13-story, 189-guest room hotel in 2018 (becoming Toronto’s first of the brand) and the debut of Canada’s first Canopy by Hilton. New York’s Library Hotel Collection has opened the 30-story, 406-room Hotel X. The only hotel on Toronto’s Exhibition Grounds adjacent to the Beanfield Centre, this newest addition to the Library Hotel Collection features panoramic views from its rooftop Falcon SkyBar, as well as 83,000 sf of indoor and outdoor meeting and event space. 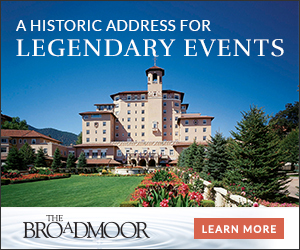 Undergoing an extensive transformation is the historic Fairmont Royal York (where the British Royals stay when in town), which is capable of hosting meetings and events for 1,670 guests. In late 2018 the luxury-boutique Adelaide Hotel Toronto will become Canada’s first St. Regis Hotel, a designated AAA Five-Diamond property. Toronto has been designated a UNESCO Creative City of Media Arts and its attractions are many — from Casa Loma, a historic mansion and garden in midtown Toronto, to CN Tower soaring above the skyline. And in theater arts, the Broadway-acclaimed “Come From Away” (a show about a small Newfoundland town and its role in the aftermath of the September 11, 2001, tragedy) has returned to the Royal Alexandra Theatre through September 2. The city is a collection of communities begging to be explored — dish by dish and festival after festival. So, whether it’s enjoying poutine, bagels or smoked beef (it’s known for these foods) during a walking tour, a fine-dining meal at a chef’s table, a dine-around through its ethnic neighborhoods or perhaps swaying to the music of Chris Botti during the Jazz Festival (one of more than 100 annual festivals), there’s no shortage of entertainment. An evening perspective of Notre-Dame Basillica in old town Montreal. New-to-the-scene hotels in 2018 and beyond are Hotel Monville (steps from the Palais des congrès); AC Marriott Hotel Montréal Downtown (the first on Canadian soil); Four Seasons Montreal Hotel, a $400 million project (2019); Hotel Birks, a 120-room luxury lifestyle property with a high-end boutique and bistro and Humaniti Hotel Montréal, a four-star, 193-room hotel (2020). Complementing the hotelscape are such new restaurants as Iberica (a stylish, trendy downtown Spanish restaurant), Île Flottante (serves up a new high-end tasting menu in Mile End) and Pastel Rita (also located in Mile End). Along with an assortment of activities, at the tiptop of the list is Old Montreal’s 196-foot-high Montréal Observation Wheel (aka, ferris wheel), featuring views of the St. Lawrence River and the city. Open daily, it is always comfortable — air-conditioned cabins in summer and heated ones in winter. 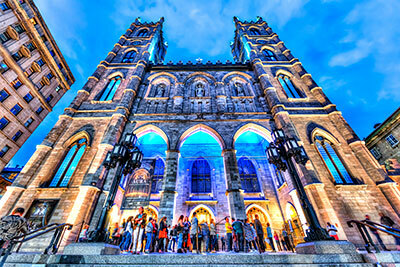 In celebration of Montreal’s 375th anniversary, Aura is a luminous experience at Montreal’s Notre Dame Basilica (the architecturally spectacular church setting of the state funeral of former prime minister Pierre Trudeau and the wedding of Celine Dion and Rene Angelil). Old Montreal’s Cité-Mémoire presents a loosely based history of the city through a cast of characters, music and images. And among popular group activities are jet boating, rafting, cruising, even surfing the St. Lawrence River, as well as learning to play hockey or curling with a local coach. sea of locals in white cowboy hats. And should you visit any other time of the year, your welcome will be equally as warm. Offering 14,000 guest rooms in more than 80 hotels (with 4,000 rooms in the downtown core), possibilities range from such brands as Starwood, Marriott and Hilton to stylish boutique hotels in Calgary’s most chic neighborhoods. Soon adding 2,000 more guest rooms to its inventory are a variety of new properties including ALT Hotel. With views of the Bow River and the downtown skyline, it’s scheduled to open August 2018. 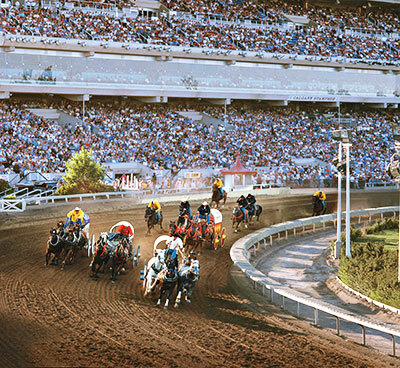 The city’s two convention centers, the Calgary Telus Convention Centre (122,000 sf of meeting space, 36 breakout rooms and connected to three four-star hotels) and BMO Centre at Stampede Park (500,000 sf of versatile event space and 25 breakout rooms), are both located downtown. On the F&B scene, five breweries are opening in a six-block radius and an assortment of restaurants, from Gringo Street’s Latin street food to Donna Mac, an eatery focusing on locally grown produce — adding to the city’s more than 200 downtown spots. Calgary Tower celebrates its 50th anniversary this year with an assortment of functions, and scheduled to open November 2018, is Calgary New Central Library. Noted as one of Architectural Digest magazine’s “12 Most Anticipated Buildings of 2018,” it will feature 30 free meeting spaces, recording studios and indoor and outdoor performance spaces. Though situated 500 miles east of Toronto and almost 3,300 miles west of Paris, the 3,475-square-mile municipality is decidedly French. This is a city with window boxes overflowing with flowers, cafés serving crepes and croissants and cobblestone streets everywhere. As the only walled city north of Mexico and the cradle of French civilization in North America, a visit here equates to a lesson in living history. Like a queen on her throne, Fairmont Le Château Frontenac presides over the city. Her regal amenities have attracted such luminaries as Queen Elizabeth and Paul McCartney, as well as many a group. But beyond this recently renovated legend, which can host an intimate meeting of 12 and a major conference for 700, is an assortment of hotels, including Delta Hotels Québec, Hilton Québec and Hotel Château Laurier Québec. Among its equally exceptional venues are Le Parlementaire, an elegant setting for black-tie events and Voltigeurs de Québec Armoury, the oldest Francophone regiment in Canada. Situated between the iconic Plains of Abraham and Grande Allee, it can host up to 1,300. 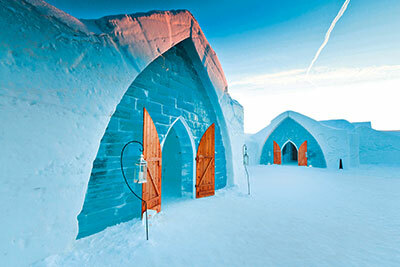 An equally cool selection, is the Hôtel de Glace (Ice Hotel) entirely made of ice and snow, making it the perfect setting for a unique winter event. Also available are guided tours, followed by cocktails in the ice bar (served in carved ice glasses, of course). Located harborside, bordered by a mountain range and punctuated with skyscrapers, the setting is known for its serenity but beneath this tranquility are superlatives that beckon the planner and best define this Canadian metropolis. In a city offering 13,000 downtown hotel rooms, the city’s historic Fairmont Hotel Vancouver (557 rooms) which is called the “Castle in the City” updated its Fourteenth Floor Heritage Suites. Commemorating the city’s royal visit by King George VI and Queen Elizabeth and the royal couple’s hotel stay during its 1939 grand opening, the recently-revealed luxurious lodgings are reflective of this era’s monarchy. Among the destination’s made-in-Vancouver teambuilding activities are such out-of-the-norm options as learning the art of axe throwing from lumberjacks atop Grouse Mountain, arriving by boat to have a scavenger hunt at Sewell’s Marina within the Howe Sound fjord (home to whales, seals and sea birds) and participating in a shoreline cleanup sponsored by the Vancouver Aquarium (also fulfilling a CSR goal). With Vancouver’s International Airport’s recognition as the continent’s best airport for eight consecutive years — serving 56 airlines to 125 non-stop destinations and with 78 daily U.S. flights — it’s little surprise Vancouver was named 2017’s No. 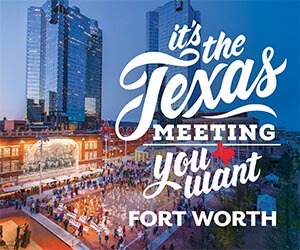 1 Destination for a Business Meeting in North America, according to STR’S Destination MAP (Meeting Assessment Program). Imagine a corporate meeting beginning just as an animal sighting is announced. “Bear on the right!” ripples through the train — more specifically the Rocky Mountaineer — creating an infectious excitement. 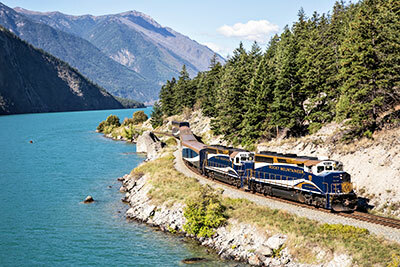 Rocky Mountaineer provides spectacular scenery as the backdrop to an intimate meeting. 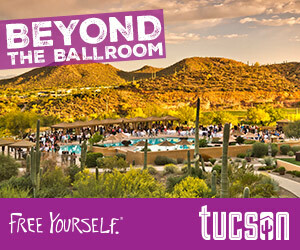 This on-the-rails venue offers more options than dramatic panoramas. A buyout of a custom-designed Rocky Mountaineer SilverLeaf or GoldLeaf dome car (think premium versus premium-plus) includes transfers, culinary service and gratuities. Another possibility is the exclusive use of a lounge car equipped with presentation screens, a large meeting table and lounge-style couches — a flexible setting for the perfect meeting environment or as a purely social space.